Some well needed rain delayed my post for today, as I lost internet connection for a few hours this morning. Yesterday's lovely Lilacs are not fairing to well with the storm that rolled through, but the garden and robin just love all the rain! For inspiration I used the colors from colourQ (I had to substitute the Espresso and Daffodil) along with the sketch at Paper and Such Designs. 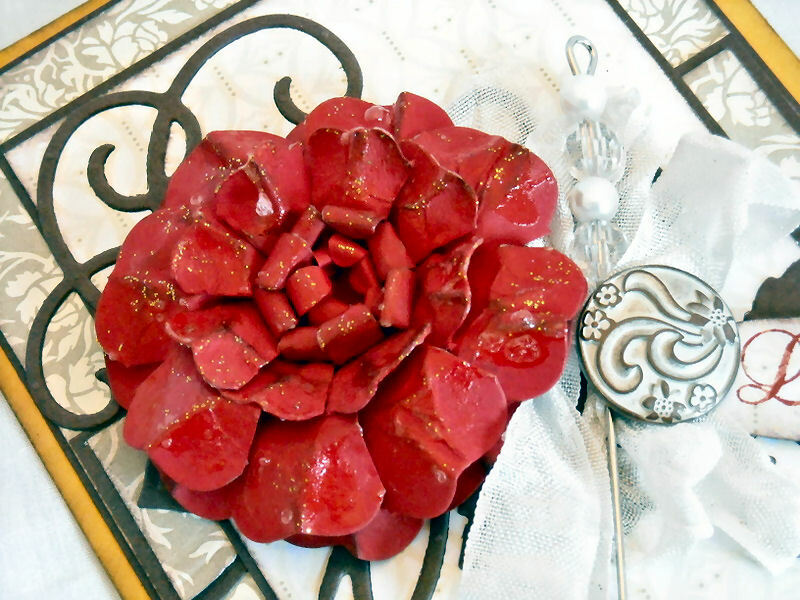 Using Spellbinders Blossom 3 Die, along with Heartfelt Creations Daisy Patch Die, I created this beautiful Red Paper Rose. See video demo below. It's stunning! What an amazing flower!!! When I go to comment if my identity shows up, I am ok! Your rose is so realistic and drop dead gorgeous. Can't wait for the tutorial! Be careful with those storms! Gorgeous card, Lisa! I love the flower! It's so beautiful! What a pretty flower!! Thanks for joining us at Paper and Such! Such an elegant creation! Love that flower! Just beautiful Lisa.....your flower is amazing! Your garden looks pretty amazing too! How incredibly beautiful! 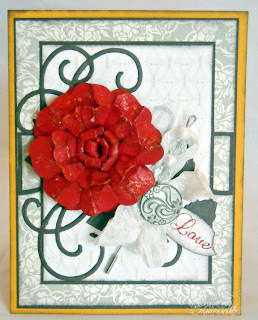 I love the rich red with your design paper - just stunning! I love this flower, so pretty, gorgeous take on the color challenge. Gorgeous. I love that bright red flower on those muted colors. 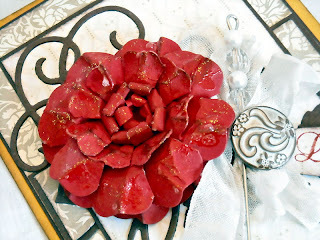 gorgeous flower, love yoour photos thanks for joining us at TPS this week. Invitation to our Birthday celebrations. Tuesday 31st Anything Goes Challenge Blog! 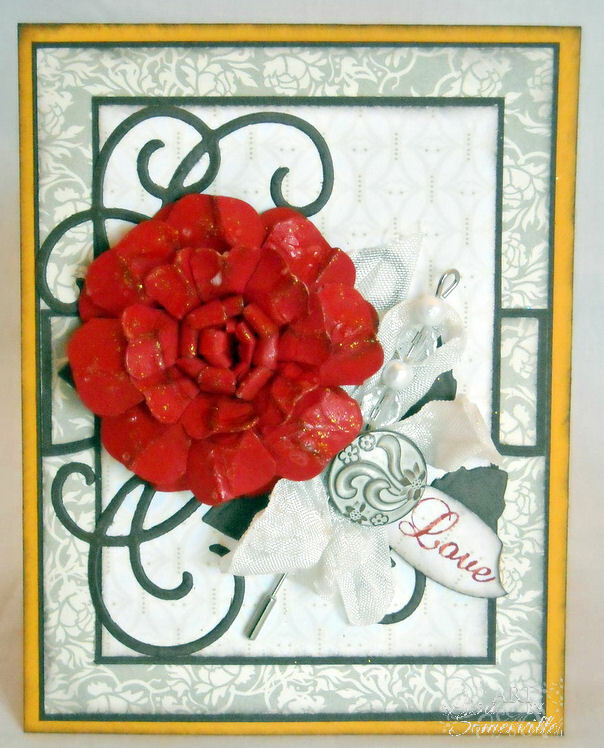 This is a beautiful flower and card! I can not wait to try it out. Thanks for sharing the video tutorial! Beautiful card, lovely flower, Lisa! Thanks for joining us at the ColourQ this week. Terrific flower - beautiful card! Fantastic card Lisa! That flower is amazing, and what a neat tutorial. Thanks for joining us at Paper and Such! Hope to see you again.